Not too long ago, I was a total newbie in the cyber security field. Although I understood some of the basics, there was an entire universe for me to explore, from concepts to how they translate into action. What I found most baffling in the beginning were some of the technical terms. Of course I knew that every field has its lingo and its inside jokes – I just wanted to get the gist of it. And I wanted to do it fast! So I set out to decode the “cybersec language” exactly how I learnt every foreign language I know: by looking up every term I didn’t know and writing down the definition. The more I read about these terms, and cyber security in general, the better the concepts fit together, like pieces of a puzzle. And I wasn’t alone in this, as Cristina joined me as well. At one point during our process, we realized that this could be useful to others as well. So we continued to add words to a common database until we reached almost 300 terms. 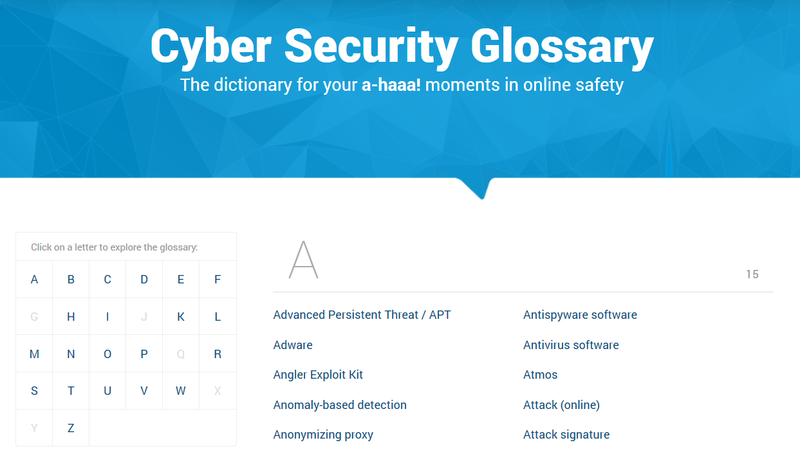 Late last week, we finally released it into the wild: The Heimdal Cyber Security Glossary! It’s not the first of its kind and it definitely won’t be the last. 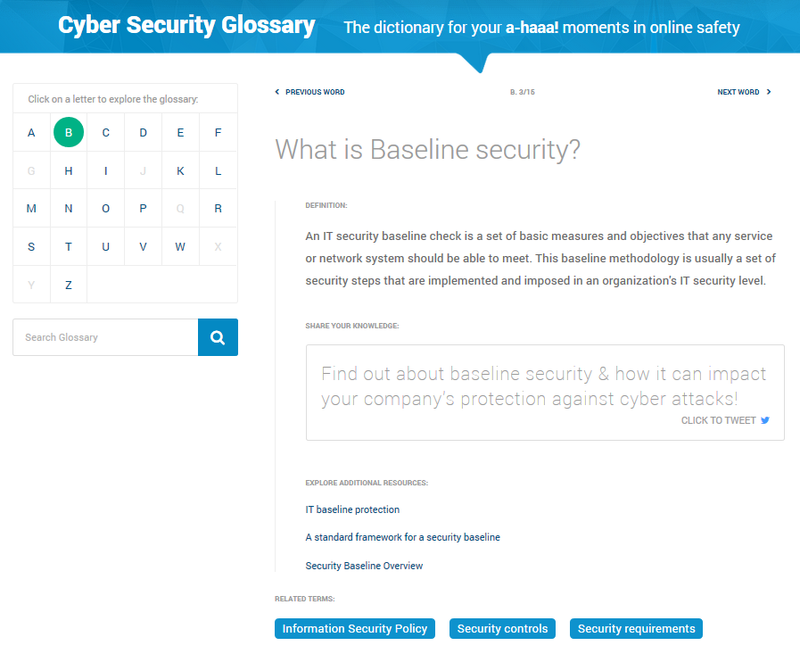 But this glossary is a reflection of our learning process, which everyone involved in the cyber security field goes through, sooner or later. It can be a shortcut to better knowledge for those just starting to test the waters. But it can also be a useful go-to resource for those who want to explain certain concepts to others and don’t have the time to write the definitions themselves. With this dictionary, we want to break down the language barriers between cyber security specialists and laymen. We’re somewhere in between ourselves, constantly absorbing and analyzing new information. That’s why this glossary will always be a work in progress: we will add more terms, update the definitions, etc. If there are any words missing or if you want to suggest a better way to define them, please submit them to the glossary page. We do read them and adjust the content accordingly! And because we want the glossary to be more than just a collection of definitions, we also added links under each term, so you can explore the subject further. We know first-hand that it’s challenging to assimilate technical jargon without the proper context and examples. Without further ado, I’ll let you dive deep into the surprising world of dumpster divers, honeymonkeys and logic bombs. You may be amazed (yet again) at how creative cyber criminals can be. When you get scared, we’ll be right here, with plenty of security guides to keep off all those pesky cyber threats!